May 2018 – ASysTech, Inc. Build repeat business. 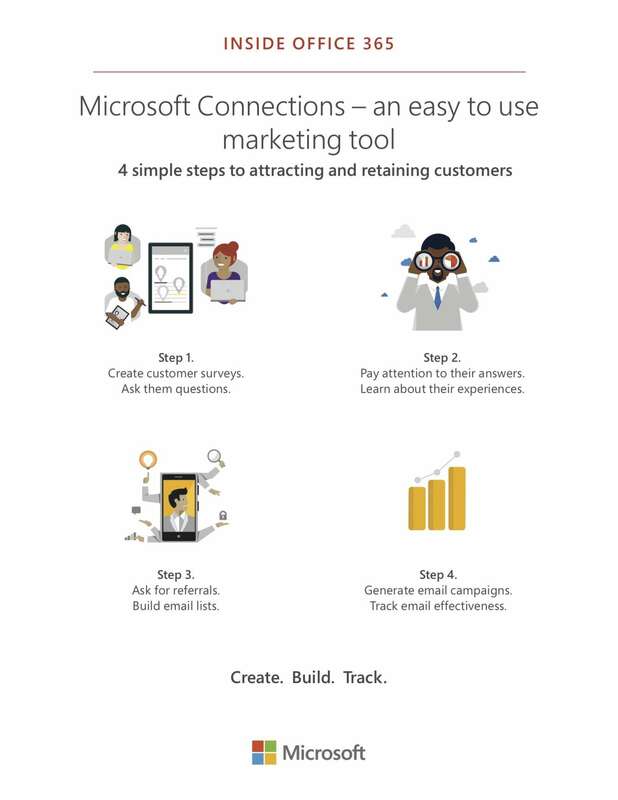 #Office365 features Connections, a simple email-marketing tool that engages customers and keeps them coming back. In this week’s clip, ASysTech discovers how Microsoft Connections, an easy-to-use email marketing tool within Office 365, helps small-business owners like Trevor Cressey attract and retain customers. Connections lets Trevor, whose Premier Water Removal service dries out flooded homes or businesses, generate satisfaction surveys and send targeted email campaigns that help build loyalty. Let us show you how Connections can put you in touch with your customers–and their repeat business.